Helping women master fitness and nutrition, with a grateful heart. Are you a woman in looking at age 40, 50, 60 or 70 and are struggling to maintain a fit physique and healthy lifestyle? Have you tried countless diet programs and watched numerous training videos but you still aren’t seeing the results you want? Are you frustrated at how easy it used to be to maintain your weight when you were younger, and you long for those days when your closet had a single size of clothes to choose from? Are you thinking, “I’m doing the same things I’ve always done but I’m getting less fit. It’s getting harder and harder.”? I completely understand your frustrations, because I was just like you. Hi, I’m Judy Arazoza, owner of Grateful Fitness, and I was astonished at how much harder things got after I hit 40. Each passing year brought new struggles and I had to stay ever-vigilant in order to look and feel healthy. Not only that, but I had little kids to deal with, a husband who worked long hours, and a part-time job of my own. I remember thinking: How can I be fit if I can’t even get into the gym? That’s when I discovered those mail-order catalogues that sold exercise videos, so I invested in myself and dedicated myself to getting up in the wee hours of the morning before everyone else to exercise. It was not easy, but I did it and I saw the results I was looking for. This lasted for about a decade, and led me to getting into distance running and joining Internet forums to talk to other women who were also exercising. I actually ended up gaining weight while distance running, which was incredibly disheartening. My physique didn’t get better…it regressed. Not only this, but I had more problems with injuries, more problems with fat in places I didn’t want, and my appetite was out of control. It was during this time that I began to read more about resistance training. My kids didn’t need me as much at this time in my life, so I became a certified trainer and nutrition coach. Rather than working for a gym, I decided to open my own. By this point I had built a beautiful, state-of-the-art gym in my house, which went through 2 more renovations and could accommodate up to 9 women at once. As my 40s came and went, I realized the importance of learning about hormones and hormonal nutrition. Exercise and eating “right” alone just weren’t cutting it for me and many of the women I was working with anymore. That led me to what I believe was the final piece of what I call “The Trinity”: Mind, Body, and Spirit. You see, a lot of times the biggest thing stopping us from being successful is what is in between our ears…the thoughts that hold us back, justify our bad habits, and tell a negative story about who we are and what we can achieve. With these three keys, I started Grateful Fitness and dedicated my business to not only teach women how to be fit, but how to use a spirit of gratefulness to stay that way. Grateful Fitness was born out of my own necessity to live well and still have time to enjoy life. It began with practicing gratitude. 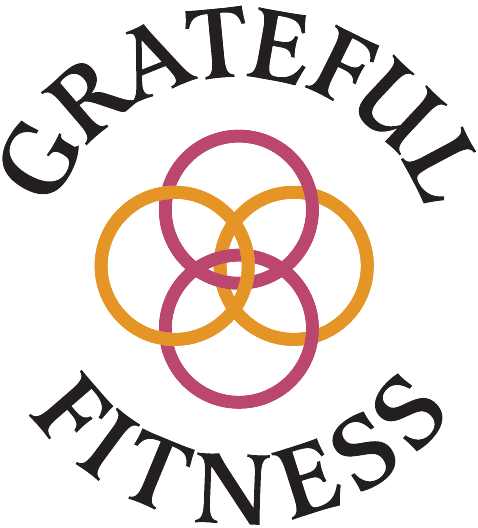 Grateful Fitness is a way of life that embraces mindful practices to make fitness and intuitive eating a lifestyle. Living the Grateful Fitness way is based on owning our uniqueness, feeling worthy, and embracing our imperfections. If this resonates with you, click here to learn more about the services I provide and how you can begin your journey to becoming gratefully fit.